The 25 best free things to do in San Francisco in October include watching the Blue Angels fly high over the Bay, exploring some of our top hidden gems, and talking a leisurely walk down our colorful mosaic staircases. 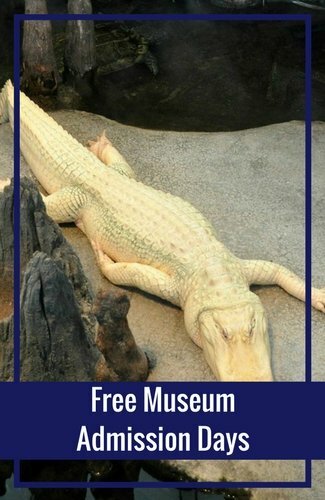 You can also go on a walking tour at no cost or stop by one of our free museums. There is so much to see and do this month, so make sure to create a list of your must sees before you arrive. Topping my list of the best free things to do in San Francisco in October is the Castro Street Fair. This annual event is always the first Sunday in October. The event celebrates the LGBT community and their supporters. It's full of fun, laughter and activities. You can listen to live music, dance in the streets, and enjoy some tasty treats from local vendors. The Blue Angels fly into town every October for Fleet Week. The event lasts for several days and you can see the Blue Angels in action over the weekend. This is one of the most popular free things to do in San Francisco in October because you can also board several military ships for free tours. It's fun to take a look inside what it's like on board and learn more about their lives. During Fleet Week, you will also find plenty of live music, food & drinks, and family-friendly activities. It's held along the waterfront in Fisherman's Wharf. Step inside some of SF's top museums at no cost during their monthly or quarterly free days. These days are very popular and offer the public the chance to see their permanent exhibits for no charge. You can see the California Academy of Sciences (quarterly), the Asian Art Museum (once a month), or the Exploratorium (designated dates throughout the year). Others with free days include the de Young, the Legion of Honor, and the Conservatory of Flowers. If you love bluegrass, then don't miss the chance for three days of free music in Golden Gate Park. This annual event features both big name stars such as Chris Isaak, Boz Scaggs, and Emmylou Harris. You will also find dozens of up-and-coming bands as well as local favorites. Entry is free to all live shows. You can also bring your own food and drink if you want to picnic. Make sure to get there early as this event gets packed with people as it becomes more and more famous each year. Celebrate Halloween with the kids with #5 on my list of free things to do in San Francisco in October. The Halloween Hoopla is an annual event that is part of the Yerba Buena Gardens Festival. 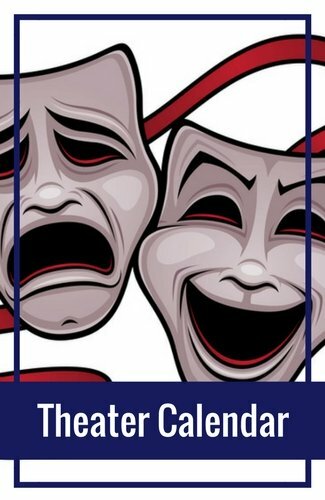 The event is toward the end of the month and includes free entertainment, activities, and games for the entire family. Discover SF's colorful history and dark past on a free walking tour. 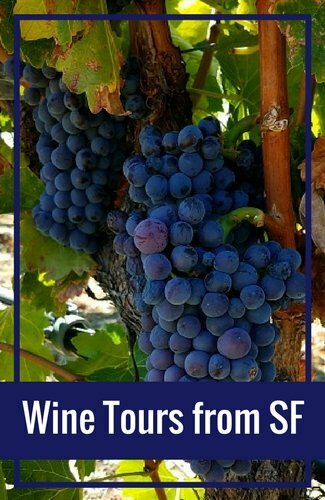 These tours are offered through SF City Guides and are a treat for visitors and locals. 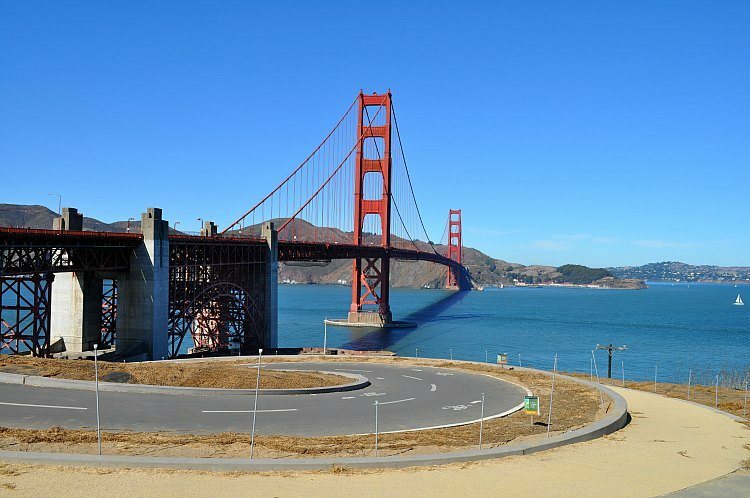 Top options include the Golden Gate Bridge, North Beach, and Chinatown tours. You can also learn more about the Palace of Fine Arts, get the inside scoop on some of our best murals, and learn about the 1906 Earthquake and Fire. Another one of the kids free things to do in San Francisco in October is the Halloween Hootenanny. 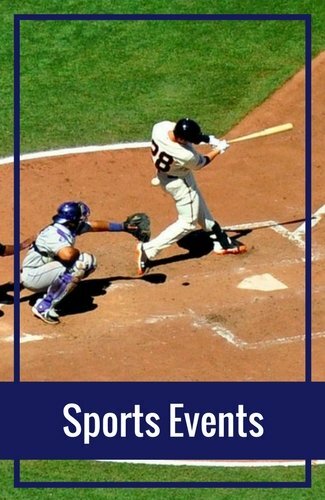 This event is held in the Haight Ashbury District in Kezar Stadium and offers fun activities for the entire family. Every year, they have a theme and a safe place for your kids this Halloween. One of my favorite recommendations for visitors to San Francisco is to head over to Goldstar for discounted tickets. You will find tickets at up to 50% off for some of our best activities. Click the links below to start saving today. The next annual event on my list of the best free things to do in San Francisco in October is to watch the Italian Heritage Parade. The event is always part of SF's Columbus Day celebrations. The parade starts in Fisherman's Wharf and winds its way around SF until it hits Washington Park in North Beach. This is where you will find a fun festival where you can eat, drink, and spend time with your family. Every October, thousands of book lovers make their way to SF for Litquake. It's the longest running book festival in the city and offers more than a week full of author talks, readings, workshops, and so much more. You will find the events all around town at book shops, coffee houses, and more. Almost all of the events are free with a few paid workshops and talks. Another one of the popular free things to do in San Francisco in October is Open Studios. For four weekends, you get the chance to step inside the studios of some of SF's top artists. You can see their work spaces, ask them questions, and buy their work. Each weekend, you will find studios in a group of neighboring districts so you can easily get from one studio to the next on foot. Make sure to pick up a map so you can plan your route in advance. 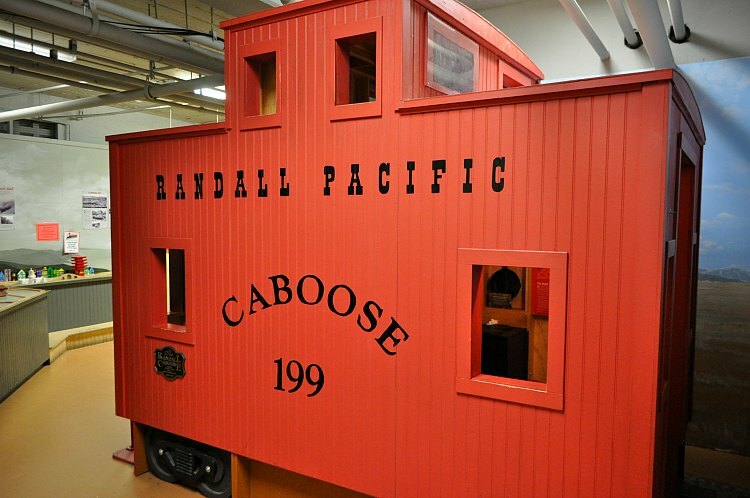 The Randall Museum is a free kids museum in Corona Heights Park. This attraction has a small animal petting zoo where kids can learn all about our local animals (all animals here are rescues). They can also spend time playing in the Riding the Rails, Ocean and Foundations exhibits. Head down to Fisherman's Wharf for #12 on my list of the best free things to do in San Francisco in October. The Wharf Fest is one of the more recent festivals that celebrates all of the fun activities in this lively district. Taste clam chowder from some of the best restaurants in town, hop on a Segway to learn how it works ad cruise the area, or just sit back and enjoy some live music. This one-day event is always toward the end of October. My absolute favorite on this list of the top free things to do in San Francisco in October is to take a close look at our three Diego Rivera frescos. All three of the frescos are open to the public and were created right here in the Bay Area. You will find one in the Financial District, one near North Beach and one a little further out in Sunnyside. All three are amazing, but my personal favorite is the largest piece in Sunnyside. Don't miss your chance to see at least one of these pieces in person during your stay. What's number one on your list of top attractions to see in San Francisco? My guess is that it's the Golden Gate Bridge. This hot spot brings in travelers from around the world every year. You can walk part or all of the way across it's 1.7 miles, check out its mini-museum, the souvenir shop, or grab some lunch at its grab and go restaurant. You can also take a stroll along the walkways near its entrance on the southern side to see how many different and interesting pictures of it you can take. 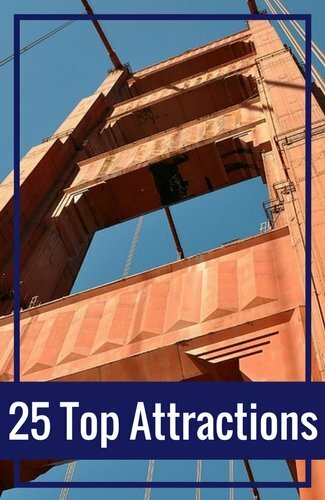 On your way to or from the Golden Gate Bridge, don't miss a quick stop at #15 on my list of the best free things to do in San Francisco in October. The Palace of Fine Arts is a unique structure built for the 1915 Panama Pacific Expo. All of the buildings were originally supposed to be temporary, but the Palace was so loved that it was rebuilt as permanent structure. You can see most of its beauty in just a few minutes or you can stop by to take one of the free walking tours to learn even more. Head to Japantown for another one of the best kid-friendly free things to do in San Francisco in October. The Spooktacular Halloween Party is usually held the Sunday before Halloween and include trick-or-treating, a costume contest, a bouncy house, and several other interesting activities. This event is held in the Peace Plaza where you will find between the east and west sections of the Japantown Mall. Colors explode from the gorgeous murals all around the Mission District. 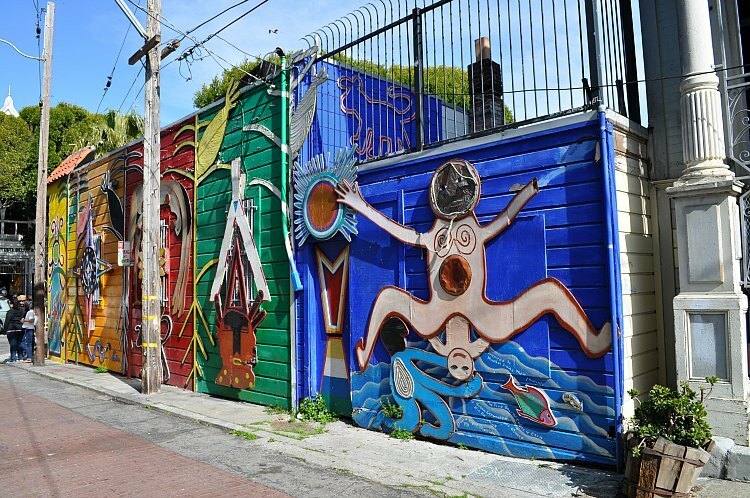 While we have murals all around SF, the largest concentration of them is in the Mission neighborhood. Step inside Clarion or Balmy Alley for a large number of murals side-by-side. You will also find a number of wonderful pieces along 24th Street. As you walk around this district, make sure to keep an eye out for these pieces of art on garage doors, in alleys, and on the side of buildings. Next on my list of the best free things to do in San Francisco in October is to check out our mosaic staircases. There are currently 4 of them with a few more in the works. The most famous set is at 16th and Moraga, but don't miss the Hidden Garden Stairs which are just a few blocks away. You will also find one set in Lincoln Park and another in the Bayview District. If you want to see some more, my list includes a few other wonderful sets of stairs to explore. City Hall is a lovely place to visit during your stay. However, most people stay outside and admire its gorgeous dome, but you can also step inside and visit its interior for free. The interior of this building offers a lovely marble staircase with detailed decor all around. Don't miss the small history museum to the left of the stairs. There is also often a photography or art exhibit on display on the lower levels. You are free to roam around the building as you please. Any door that is open (not just unlocked, but open) is available for you to enter. 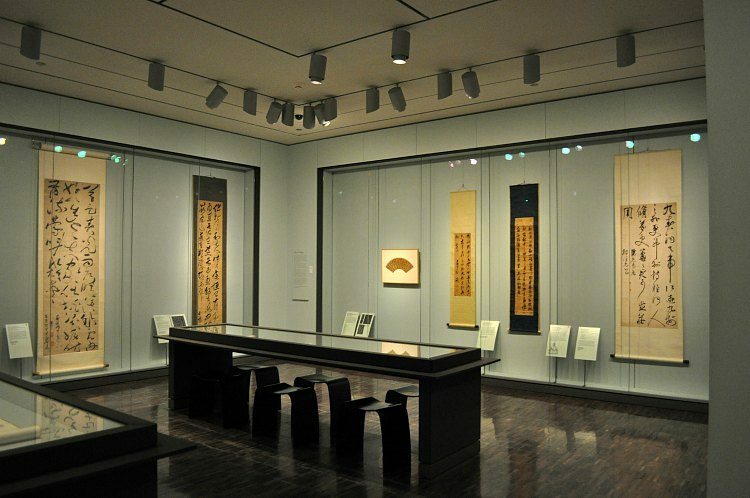 Make sure to spend a little time on the second floor as most visitors skip it thinking it isn't open to the public. 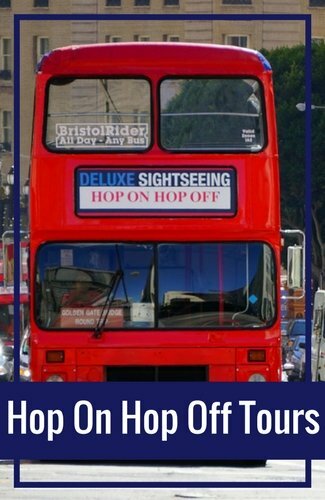 You will find some great deals all year long on hotels around SF. Click the links below to take advantage of some of the best discounts today. You can't beat the views from the top of Twin Peaks. Number 20 on my list of the best free things to do in San Francisco sits high above the City by the Bay. It's not the highest spot in town, but it offers the best views. My personal preference to get to the top is to hike up. You can also drive up or head up on a guided tour. No matter how you get to the top, this is one view you will want to see! Our next stop is Lombard Street. I'm sure you've heard about our steep and crooked streets. Well, this is our most famous one. 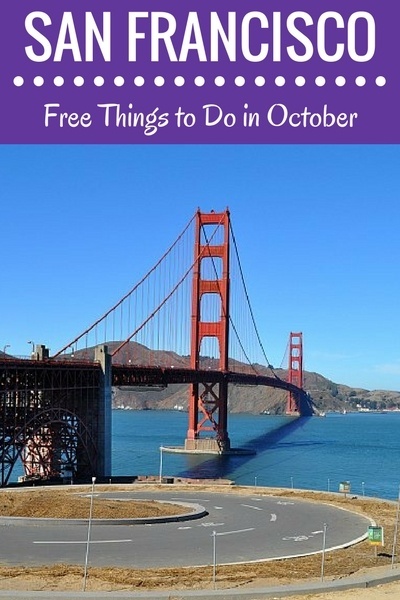 Number 21 on my list of the top free things to do in San Francisco in October offers 8 hairpin turns. But, the good news, is that it's more fun to walk down as that way you can see it up close. Most of the year, you can also admire its lovely gardens. Overall, it's an unforgettable experience. If you want to catch a few rays, October is one of the best months to do it. This month is one of our sunniest and some days are even warm enough to have a real day at the beach. I recommend Baker Beach. This gorgeous place offers amazing views of the Golden Gate Bridge, the Marin Headlands, and the Pacific Ocean. Bring along everything you need though, as there are no services (except bathrooms) available here. The Japanese Tea Garden is one of the lesser known free things to do in San Francisco in October. The gardens are famous for their beauty, but few people realize you can enter for free during the first hour on Monday, Wednesday, and Friday mornings. You can stay as long as you want after entering. After you enter, you can check out not only the lovely gardens inside but also its beautiful structures. I also love to stop by the tea house for a hot and creamy green tea. After you finish at the Japanese Tea Garden, head west to check out Stow Lake. It's another one of the free things to do in San Francisco in October located in the beautiful Golden Gate Park. The lake does not have a beach, but offers walking paths, a chance to climb to the top of Strawberry Hill, and a small boat rental company. It's a fun way to spend a few hours relaxing in SF. One of the most famous photographs of San Francisco features the beautiful Painted Ladies of Alamo Square. You can get this same photo during your visit to this lovely SF attraction instead of having to buy someone else's. I recommend visiting during the afternoon when the sun is shining on them. They are prettiest at that time of the day. Nearby, you will also find other colorfully painted Victorians that are a delight to see! 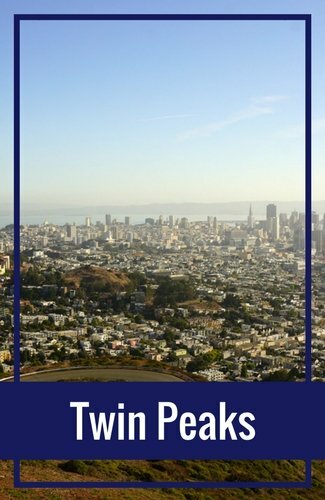 Although you will find plenty of other free things to do in San Francisco in October, this list includes my favorites this time of year!